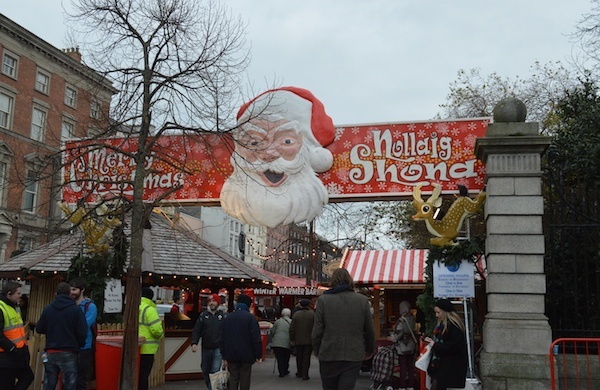 This festive event takes place along St Stephen’s Green North, with over 60 wooden chalets lined to create a little Christmas village. There is plenty of food on offer such hot dogs, German sausages, pig on a spit, burgers, pies and more. Of course there is the obligatory mulled wine too. 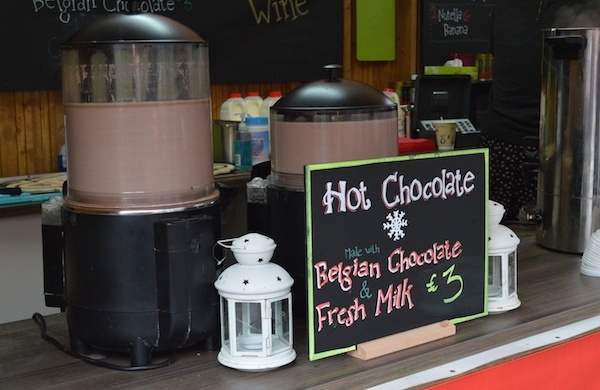 It’s somewhere to think of for a quick bite and to help get you in the mood while Christmas shopping in the city centre. Lidl is hosting their first ever Christmas market in Dublin this year with all proceeds going to their charity partner Barretstown. The market will take place from the 27th to the 30th of November at the CHQ building in Dublin’s IFSC. You’ll be able to sample and buy their range of Christmas products and also soak up the atmosphere of ‘Santa Land’, sounds intriguing! The Gibson hotel are having their very own Christmas market with their courtyard being transformed into a winter wonderland. 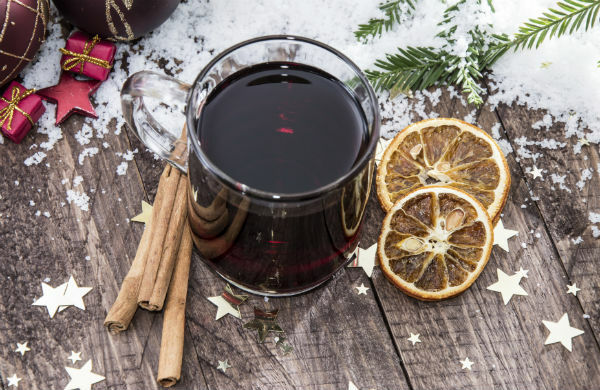 They have a variety of Christmas themed food available for €35 per person including spiced sausages, pig on a spit, mulled cider and gingerbreads. This isn’t exactly a Christmas market but still a great spot if you’re looking for edible Christmas gifts. The National Craft Fair will take place at the RDS from Wednesday 3rd of December until the 7th of December and admission is €10 per person. There will be plenty of Irish craft products including a food emporium section where you’ll be able to meet the producers and sample their produce. The Merrion afternoon tea is one of the best around, the cosy drawing rooms are very comfortable and luxurious and it’s such a treat if you’re sitting by the roaring fire. The Merrion’s festive afternoon tea will be available from the 1st to the 31st of December in the drawing rooms of the hotel and is priced at €40/48 per person (€53 with champagne). 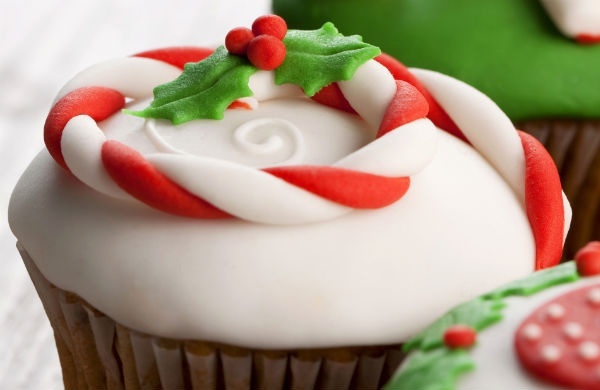 Expect beautiful Christmas-themed pastries designed by talented pastry chef Paul Kelly. Such a treat! This area of Grafton street is amazing at Christmas time and one place that is always beautifully decorated is the Westbury hotel. Try to get a seat by the window to enjoy the views and the atmosphere of Balfe Street and Grafton Street while you indulge in their seasonal afternoon tea. It’s available from 3pm to 5.30pm every day and it costs €45 per person. 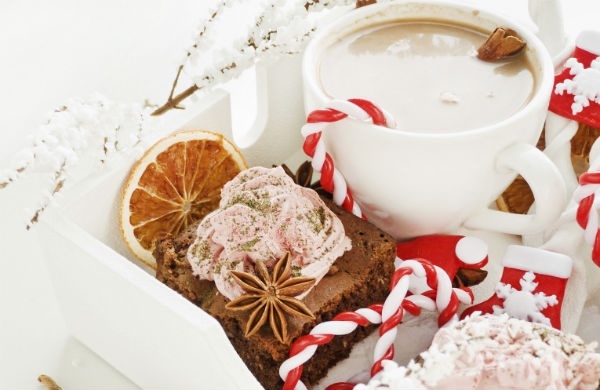 The Dylan hotel’s Christmas afternoon tea will be available from the 28th of November to the 6th of January. You get to chose between two afternoon teas depending on whether you have been naughty or nice. The naughty option is chocolate themed with servings of yule log and black forest gateau, while the nice afternoon tea has cherry trifle and white chocolate truffles. It’s priced at €40 per person. Salt of Earth, who were at Taste of Dublin this year are hosting their Winter Feast Supper Club until Saturday 20th of December at the Busy Feet & Coco Café on South William Street. The menu isn’t a traditional Christmas feast but quite alternative and exotic with dishes of Cavelo Nero with roasted pear or Lebanese baked chicken. The price is €38 per person and reservations are recommended. For something different this December the people from Hunt and Gather are planning a Christmas dinner inspired by Oscar Wilde at 12 Henrietta Street. The event will take place on the 5th, 6th and 7th of December with a dinner service on Friday and Saturday as well as brunch on Sunday. The Friday and Saturday menu is priced at €50 and brunch is €40. It promises to be very atmospheric with long banquet tables, poetry readings and acoustic music.